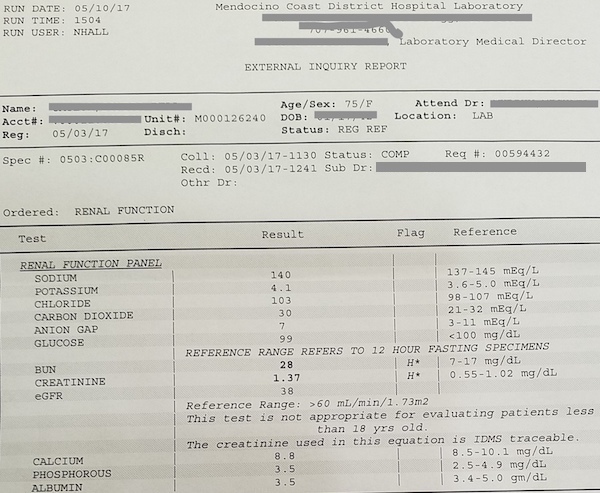 Patient C’s lab test result from May 10th, 2017. Today patient C happily brings me her newest lab test results. She has made a dramatic improvement in a few months. In early May of 2017, patient C sought my help for what she thought was a high blood pressure problem. During our initial discussion, I quickly realized that she most likely have kidney disease and urged her to get her test results. 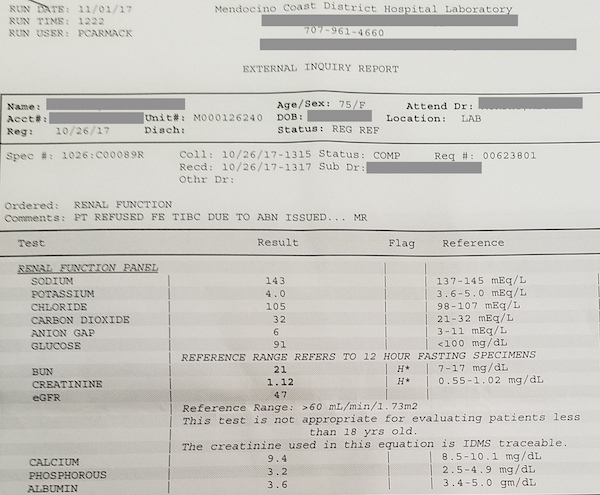 It turned out (somehow her doctors never fully discussed it with her) she has Chronic Kidney Disease, Stage III, and was deteriorating quickly. If her condition continued to worsen, she will need dialysis in the future. Patient C most likely had high blood pressure for dozens of years without being diagnosed. A few years back, she had severe headaches and went to her primary care physician. Her blood pressure was 220/110 and she was quickly referred to a specialist. She was put on a heavy regimen of prescription drugs to lower her blood pressure. Her blood pressure has been stable but her kidney continued to worsen. She felt frustrated that although her blood pressure is somewhat under control, she did not feel her health improved at all. She continued to have sporadic headaches, joint aches and upper back pain among other health problems. 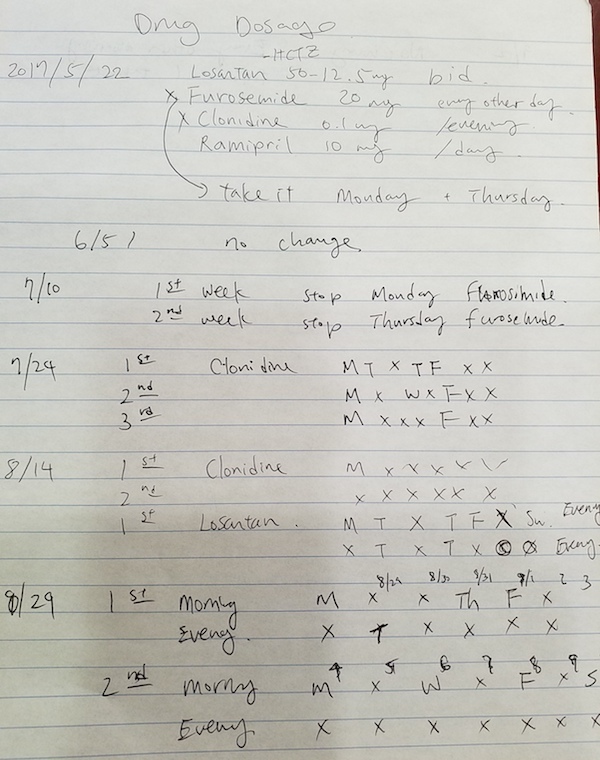 Patient C’s original drug regimen and modification as she improves. I explained to her that Traditional Chinese Medicine is very effective for kidney illnesses. In fact, the Nephrology department at our hospital in Shanghai is one of the busiest departments. Our strategy is to give her herbal medicines to restore her kidney functions and maintain her blood pressure. 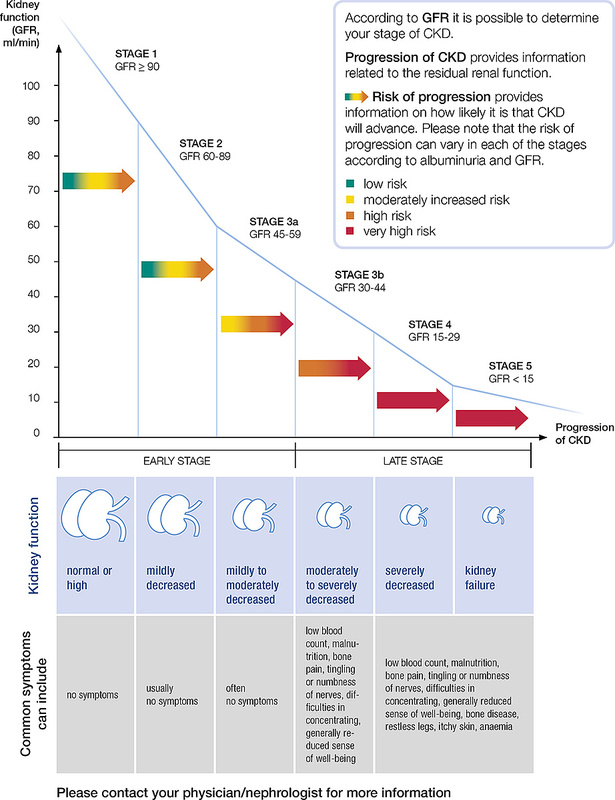 It is very critical to manage high blood pressure for people with kidney diseases. High blood pressure will damage kidney over time, and damaged kidney will elevate blood pressure hence forming a vicious cycle. Using herbal medicine to manage high blood pressure and other health problems is very advantageous because many drugs can harm kidney. Herbal medicine can simultaneously lower blood pressure, restore kidney function and resolve other health issues. It will allow us to reduce her other medications and keep her kidney functioning for a long time. With our treatment of acupuncture and herbs, Patient C began to improve very quickly. Her blood pressure stabilized and her upper back pain and joint pain disappeared. Fatigue and headaches are much rarer. She had elevated Blood Urea Nitrogen (BUN) and Creatinine indicating impaired kidney function unable to eliminate these waste compound (depressed estimated Glomerular Filtration Rate, eGFR) on May 10th, 2017 . 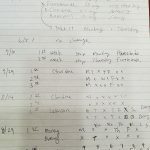 Her renal function test in November shows eGFR improved significantly from 38 to 47, BUN lowered from 28 to 21 and Creatinine lowered from 1.37 to 1.12. Given the dramatic turnaround in the progression of her kidney disease, dialysis is no longer a possibility. 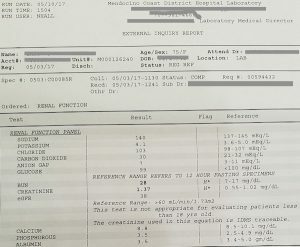 Patient C’s lab test result from Nov 1st, 2017. Obviously Patient C is very happy with the result. She does not need to take most of her drugs anymore. Her blood pressure has normalized, kidney functions improved and she felt much better overall. However, sadly a successful case like her is very rare. Although Traditional Chinese Medicine treats kidney diseases very well, most American do no know to seek our help. Kidney disease affects 14% of American population and kills more people than breast cancer or prostate cancer. Yet I suspect probably fewer than 1% know to get treated with Traditional Chinese Medicine. Among the people who came to me for Chronic Kidney Disease, most only visited once and never returned. Because kidney disease is “silent”, most people cannot gauge their progress. Patients easily give up if they cannot “feel” improvement. Some people are even afraid that herbal medicine will damage their kidney, which is a huge misunderstanding. Patient C is very “lucky” because she is a retired business owner who can follow through with her decision and has the resource to sustain the treatment. She also has symptoms which allow her to “feel” the improvements. 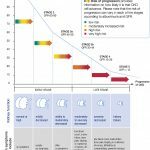 Patient C does not have to be one of the lucky few to avoid dialysis. Millions of Americans with kidney diseases can benefit from Traditional Chinese Medicine if the knowledge is more widespread.